Our mission is to team with you, your trainer/coach, and/or your physician to identify and provide the most efficient training and meal planning program possible by utilizing the wealth of accurate data the Bod Pod provides. NIH, Mayo Clinics, NFL Teams, Special Forces/Military, all know the importance of accurate information. The Be Fit-Test LLc. Bod Pod offers the same “Gold Standard” or “Research” model used by these elite institutions as well as most major universities. The BOD POD is the safest and most subject-friendly of all methods used to assess body composition. There are none of the risks associated with underwater submersion, no x-rays, no electrical current, and no pinching. During testing, the subject just sits comfortably inside the BOD POD, yielding reinforcing and detailed test results complete with graphs providing information vital to/for an effective fitness program and the proper monitoring of that program. The unique egg-shape of the BOD POD is designed to accommodate a wide variety of human shapes and sizes. With its roomy interior and spacious front window, the BOD POD is used routinely by NFL teams, sumo wrestlers, even people weighing up to 500 lbs. 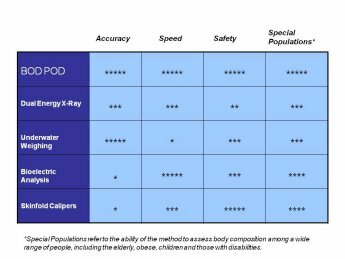 And because it's so simple to use, the BOD POD is ideal for assessing the body composition of children, the elderly, hospital patients, and those with special needs. It's that safe and easy! Double click on the chart to view in full size. Double click on video to view in full size. Please join our BOD POD Facebook Group. 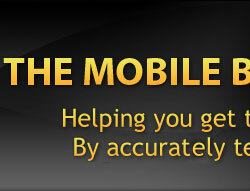 Copyright © Be Fit-Test, LLC - All rights reserved.